Terraria and Dungeon Defenders II Are Crossing Over! Are you a fan of Terraria? How about Dungeon Defenders? Well, you’re in luck! Re-Logic and Trendy Entertainment are teaming up to bring epic crossover content to fans of both games. In Terraria, you’ll get to experience invasions from Etheria (the realm in Dungeon Defenders II), and in Dungeon Defenders II, you’ll enlist a powerful ally to take down enemies and threats from the Terraria universe. Terraria players will get a special event that is Dungeon Defenders themed and features special loot and enemies. Dungeon Defenders II players will receive maps, items, and more inspired by Terraria, along with Dryad, a purchasable hero. Terraria players will receive the content for free with the launch of version 1.3.4, while Dungeon Defenders players will be able to unlock the content in several different ways. Updates for both games are expected to release before the end of the year on Steam and PS4. For more info on Terraria, follow Re-Logic on Twitter and visit their site. 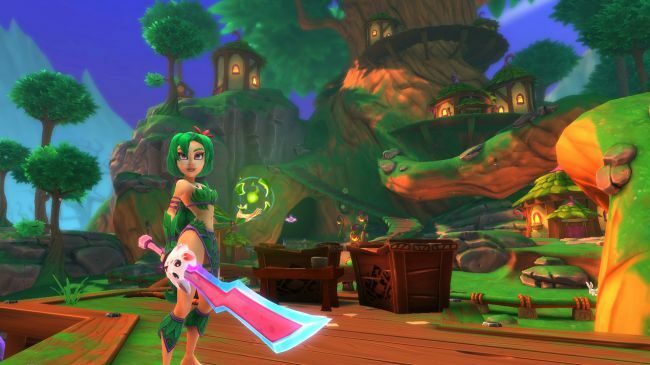 If you’re a Dungeon Defenders fan, check out Trendy Entertainment’s Twitter and website. Next Post Destroy All Humans! is now Available to Purchase on PS4!